Stairs are designed to provide access to people to transfer from one horizontal plane to another. Unfortunately, stairs do not offer universal access. Many individuals find stairways either very challenging to negotiate or downright impossible. For these people, power chair lifts enable mobility over stairs. Indy Stair Lifts is committed to providing the top mobility options on the market backed by the nation’s strongest customer service and warranty. We work with our customers to find the right power chair lift to suit their needs and provide options to keep purchases affordable. The power of a chair lift to restore independence and give people back the quality of life they deserve is incredible. As part of our mission to help people achieve this freedom, we also offer rental programs and provide discounts for veterans. A power chair stair lift carries passengers safely from one level of a building to another. These are wonderful options for individuals that can walk comfortably but can’t manage stairs with ease. Different models of power chair lifts are available to fit even narrow or curved stairs. For interior or exterior installation, power chair lift options will improve the quality of life for many people. Indy Stair Lifts carries both residential and commercial options to promote safe and reliable access at home and away. 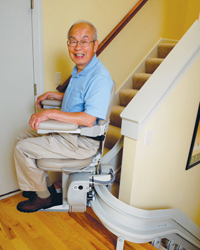 Power stair lifts hold a charge for numerous passages even in a power outage. If you have special weight requirements or concerns about enough space to fit a power chair lift in your home or office, our service representatives can help you choose a suitable model to overcome obstacles in the way of your free mobility. Power chair platform lifts are another option to install in multi-level buildings. These power lifts offer safe transport between floors for individuals in wheelchairs. 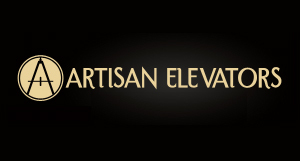 To overcome stairway access on the exterior or interior of residential and commercial buildings, platform chair lifts empower individuals. These lifts include safety features built into the design and a welcoming ease of use. People should not surrender their freedom due to limited mobility. Stairs are a common challenge for many, but fine options exist to improve conditions. Along with power chair stair lift options, platform lifts are a boon to independence and free movement for individuals in wheelchairs and others with trouble climbing or descending stairs. Indy Stair Lifts power chair lifts deliver reliability, affordability, safety, and empowerment to individuals with mobility limitations.